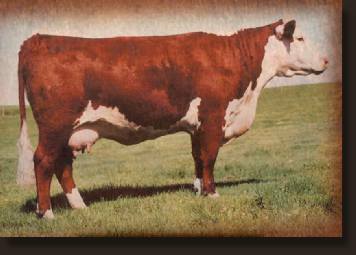 Online 122L is the most influential sire of recent times in the Hereford breed. No other sire can match this former 2001 CDN and 2002 & 2003 US National Champion bulls total for number of champions, sale toppers, powerful breeding sons or number of daughters in production. Online 122L will have a major role in establishing the new Remitall West herd. Generating over $1 million in progeny sales, Remitall Catalina 24H is the foundation of the most influential cow family in the breed today. 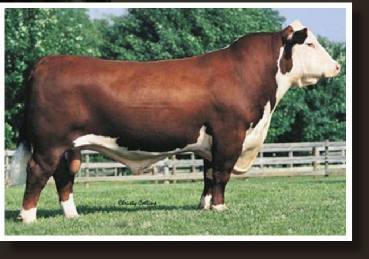 Through her many sons including Online 122L, Olympian 262L, Pounder 204P, Nationwide 93N, Route 66 346R, thousands of Hereford pedigrees now carry her strong genetics.